If you’re craving something hearty without the guilt, this recipe is the answer! 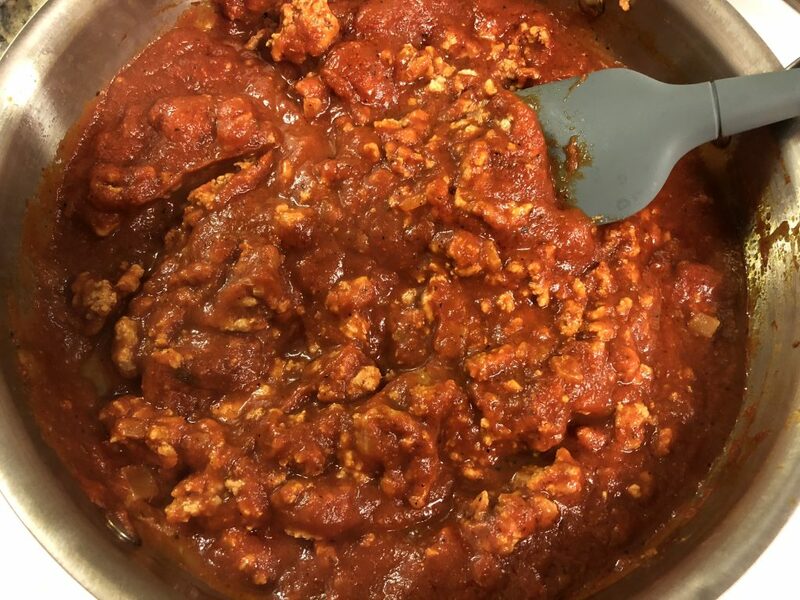 My Weeknight Meat Sauce recipe is done in under an hour and totally hits the spot. 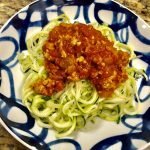 I like to serve with with zoodles in the summer and with a hearty grain or pasta in the winter. Love that it works for all seasons! Heat the olive oil in a large sauté pan that has a cover, over medium high heat. 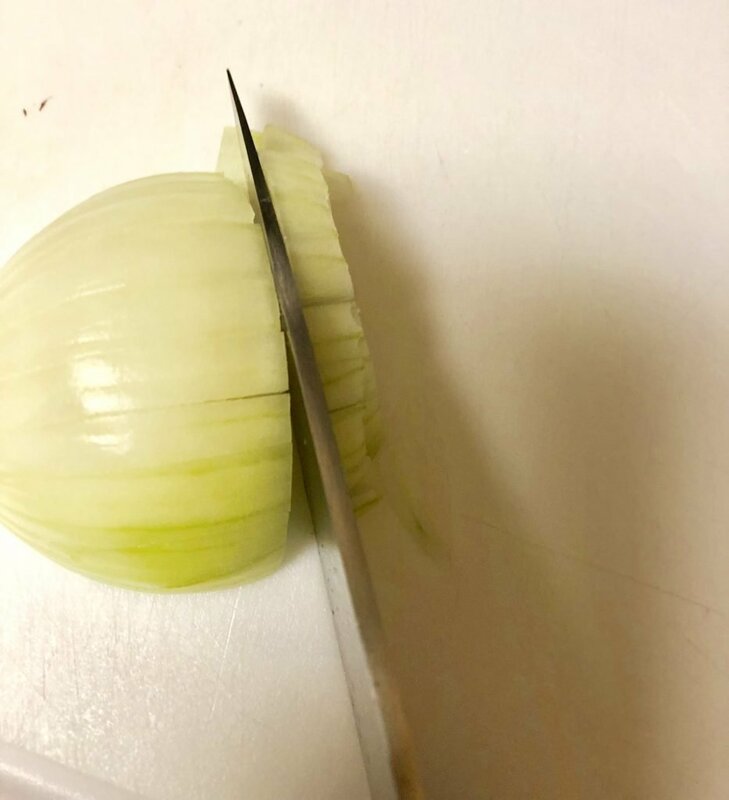 Peel the onion and cut off the non-root end. 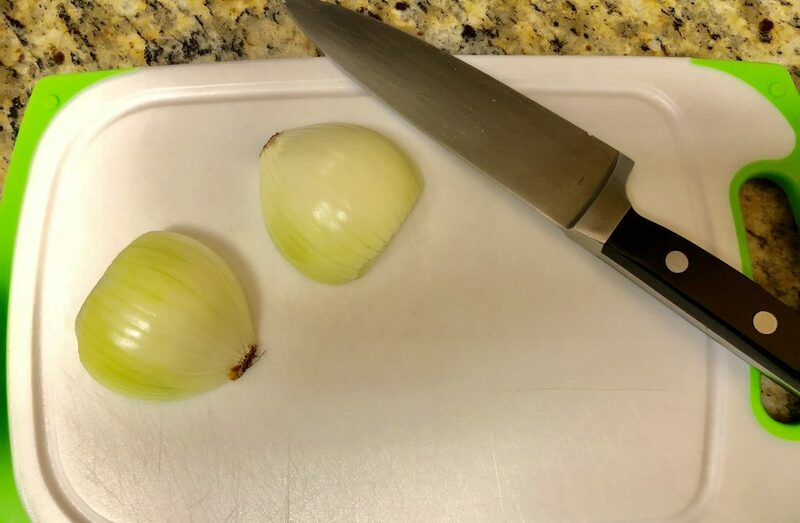 Then cut the onion in half through the root. Cut vertical slices into each half, leaving the root intact. 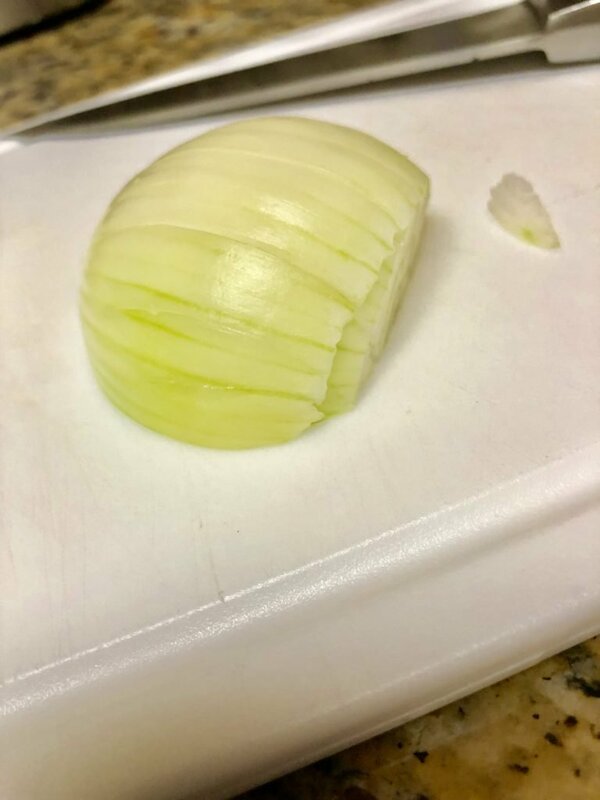 The root holds the onion together so you can evenly chop it. TIP: If your eyes start burning and you start weeping…put your head in the freezer for 5 seconds with your eyes open. I don’t know if there’s a scientific reason why this works, but it does! OK, back to the recipe! 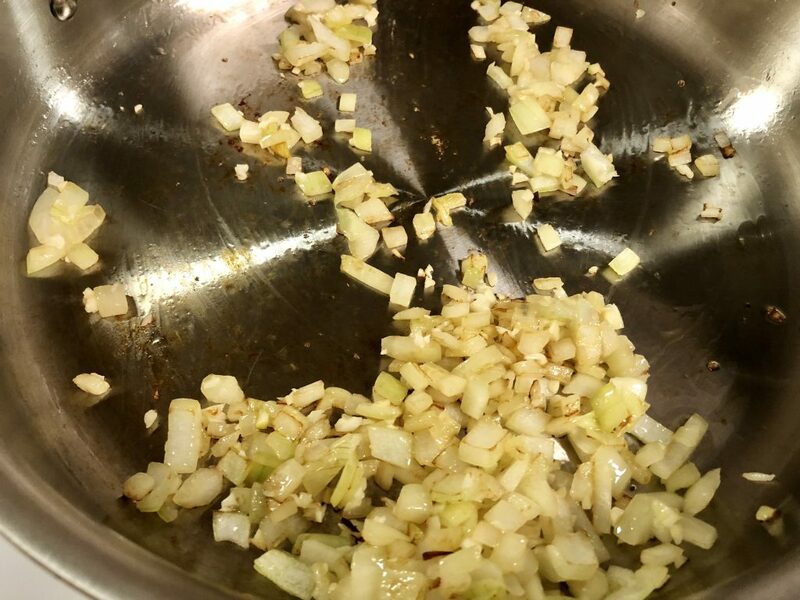 Add the diced onion to the pan and sauté for 1 – 2 minutes with a wooden spoon. Add the garlic and sauté for another 1 minute. Add the turkey and sauté until the meat is mostly no longer pink. Lower the heat to low. Add the tomato sauce, tomato paste, Italian seasoning, salt and pepper and mix until combined. Cover and simmer for 40 minutes. 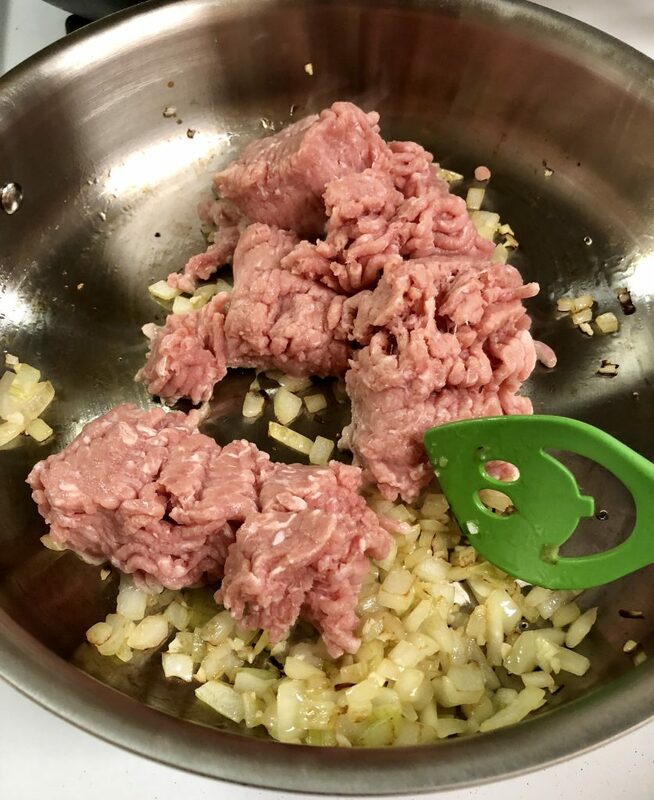 TIP: When the meat sauce is done, don’t forget to switch out to a new utensil/spoon, since the original one was used with the raw poultry. 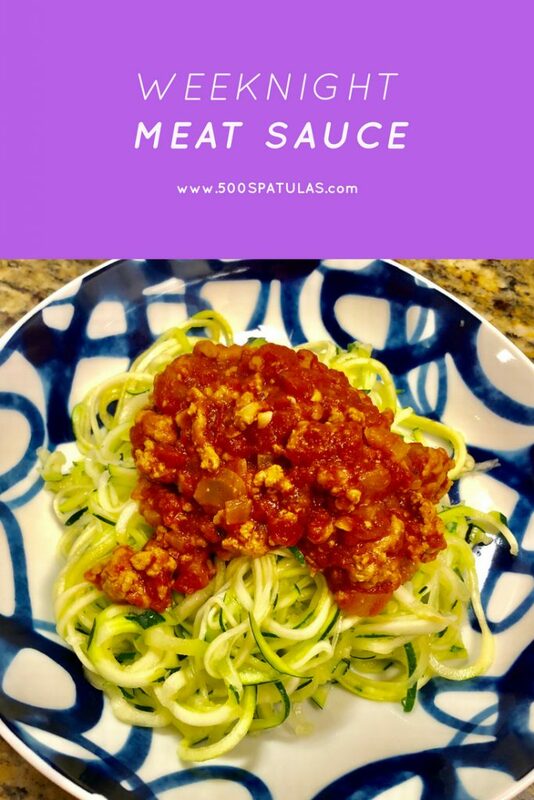 Serve the Weeknight Meat Sauce with your favorite pasta, grain or veggie noodle! 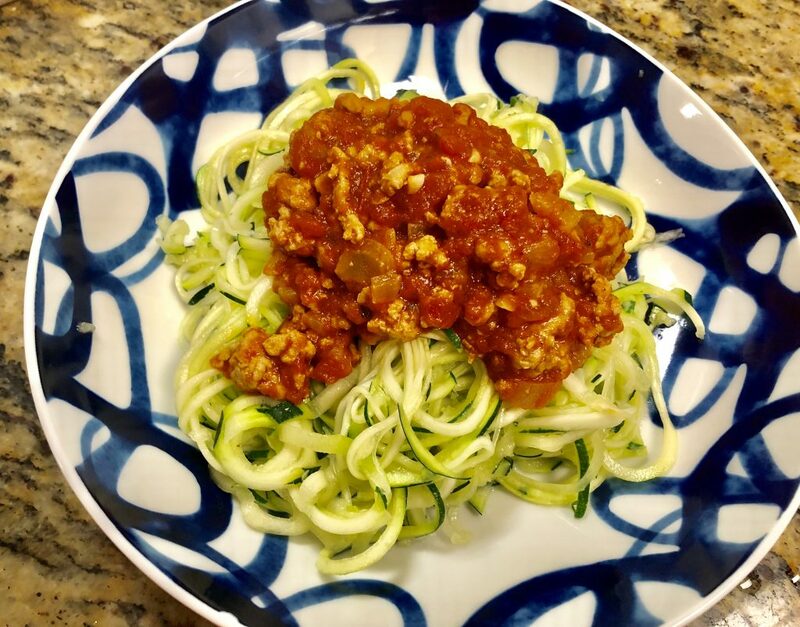 I went with zoodles this time and it totally hit the spot. Heat olive oil in a large sauté pan that has a cover, over medium high heat. Dice the onion and sauté for 1 - 2 minutes with a wooden spoon. Add the garlic and sauté for another 1 minute. Lower the heat to low. Add the tomato sauce, tomato paste, italian seasoning, salt and pepper and mix until combined. Cover and simmer for 40 minutes. 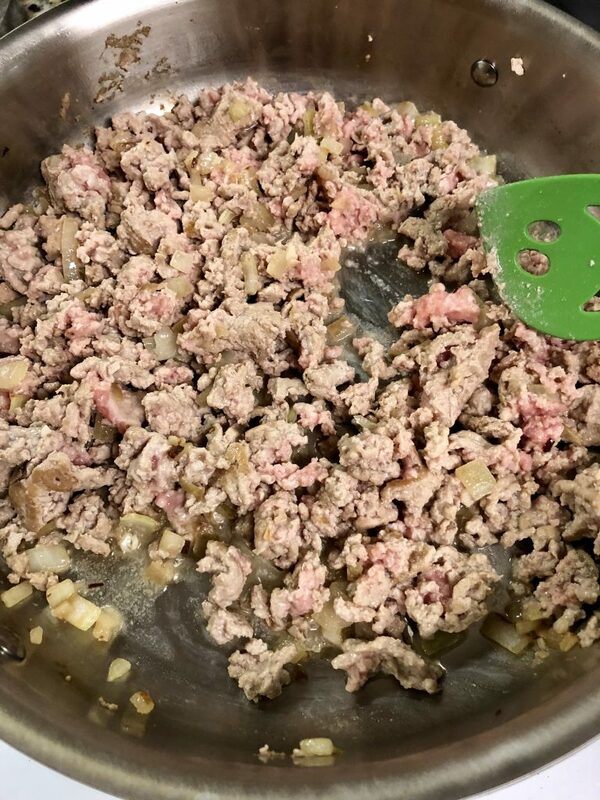 TIP: When the meat sauce is done, don't forget to switch out to a new spoon, since the original one was used with the raw poultry. Serve with your favorite pasta, grain or veggie noodle!